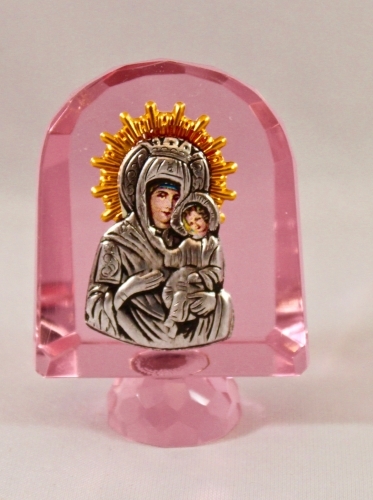 Crystal standing icon of the Virgin Mary and Christ Child. Silver and gold plated icon. Imported from Greece.